The shoe features a black leather upper with a repeated perforated cross pattern. 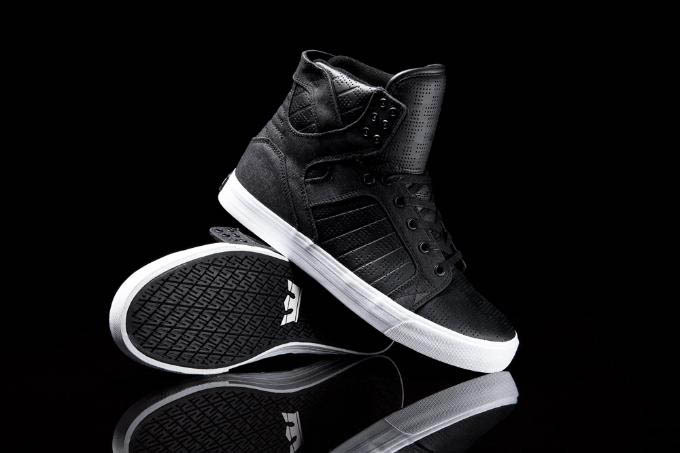 SUPRA Footwear serves up the original Chad Muska Skytop in a style they're calling "Cross." 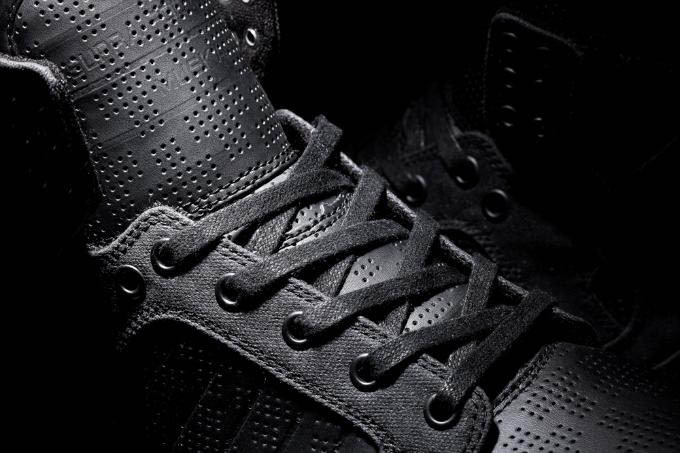 The shoe features a black leather upper with a repeated perforated cross pattern, accompanied by black canvas details. Finishing off the look below is a black vulcanized sole wrapped in white foxing tape. 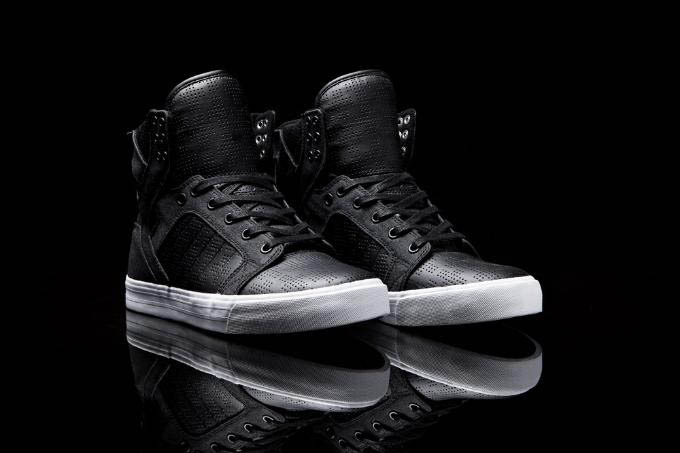 The "Cross" Skytop is available now at SUPRA Footwear and select skate retailers worldwide.